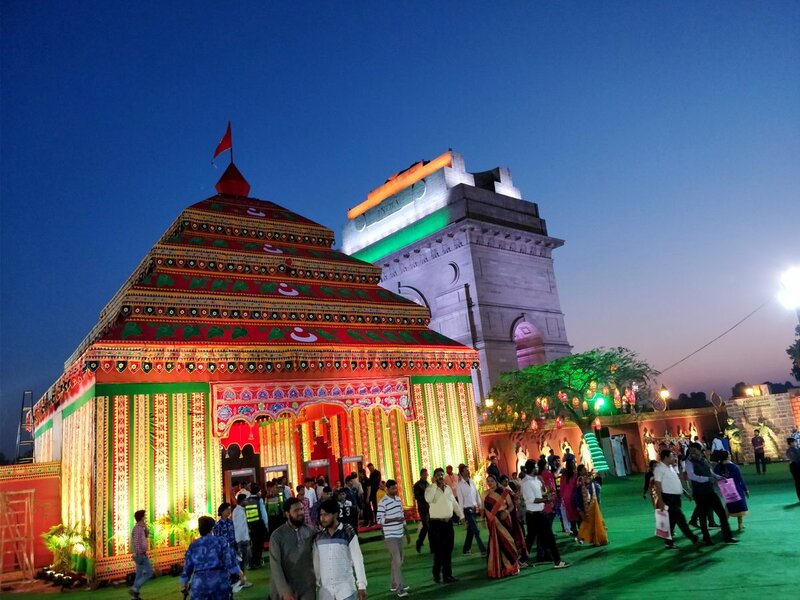 ONI Bureau: A three day-long mega celebration of Odisha’s culture, tradition, heritage & cuisine commenced in the heart of National Capital today at Lawn No-6, India Gate, New Delhi. Odisha Parba is organised by Odia Samaj, New Delhi. Denizens from every nook and corner of Delhi NCR will witness the unique culture, heritage, tradition, cuisine and various other delights from this beautiful coastal state. Along with the rich heritage, the illustrious history and saga of valour of Odisha’s brave hearts shall also be showcased in the Odisha Parba. The Parba is open from 12 PM to 10 PM both on 10th and 11th March 2018. Entry to the event is free reportedly. Chief Guest of this magnificent inaugural ceremony, Justice Dipak Misra, Chief Justice, Supreme Court of India inaugurated the mega event by lighting the lamp. Among others Union Minister for Petroleum and Natural Gas Dharmendra Pradhan is also present at this inaugural event. The guest of Honour of the mega event Dharmendra Pradhan Union Minister for Petroleum and Natural Gas, Skill Development and Entrepreneurship said, ‘The work of Odia Samaj is worth praising! This 3 day festival would no doubt create a buzz as artists and vendors have been invited from the nooks and corners of Odisha to highlight our rich culture and heritage. I am glad to be a part of this event which would take even the non-odias through a journey of Odisha”. 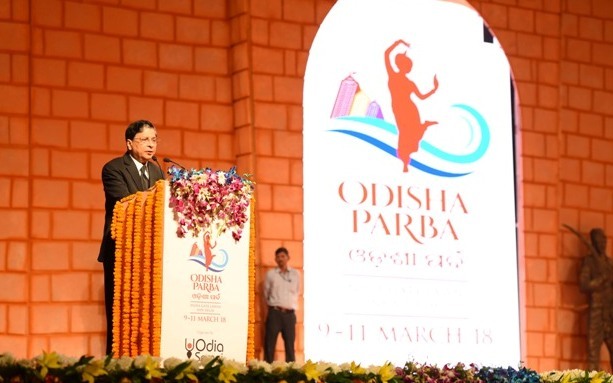 Addressing the inaugural ceremony Sidhartha Pradhan, President of Odia Samaj said, ‘This is the 2nd edition of Odisha Parba after the successful first. 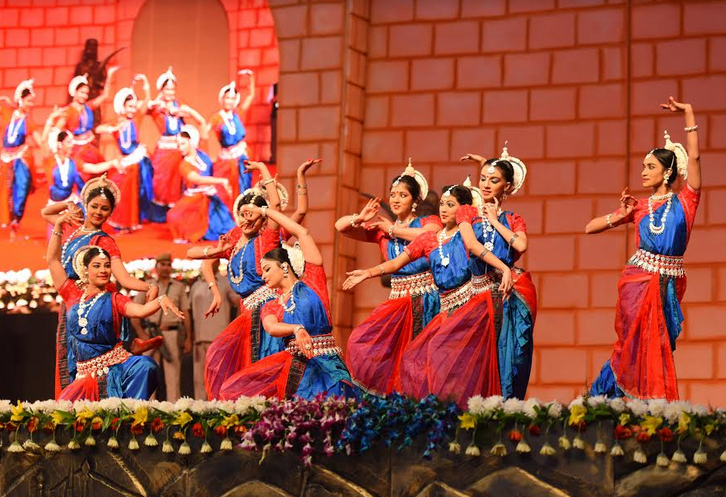 Through this festival we want to show the people of Delhi the rich culture and heritage of Odisha. People can now see glimpses of our culture through the handlooms like Sambalpuri saree, Kotpad saree etc. and mouth-watering dishes like Gupchup katki Chaat, Pitha etc. Have a look at all our stalls and enjoy this 3 day event’. Top names from the entertainment industry of Odisha enthralled the audience. 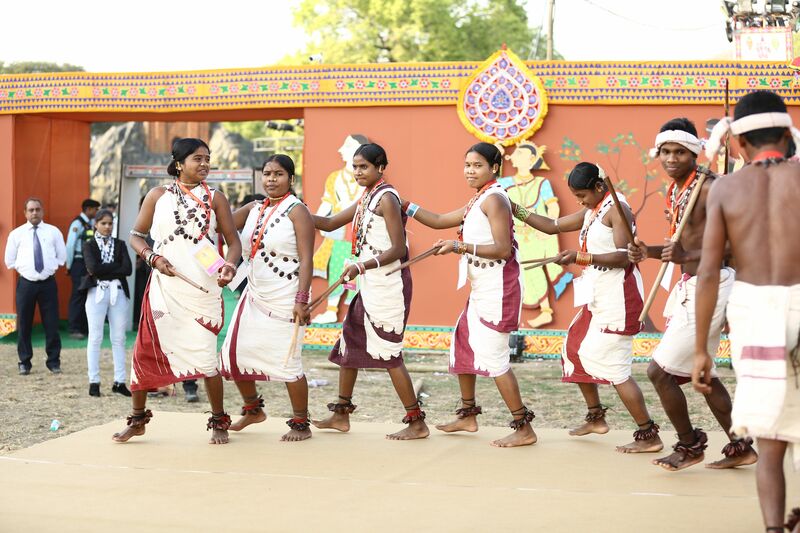 A dance show titled ‘Chota Mora Gaanti’ was performed by Guru Chandrakanta Sutar and disciples.Pancha Paika dance by Pravat Kumar Swain & group took the viewers through the journey of valour and sacrifices made by Odisha’s brave hearts, against the British oppression. On a lighter vein Standup comedy comedy monarch Kuna Tripathy kept everyone in splits. Ghumura & Naga Nacha by Adi Sanskriti added colour and zest to the evening. Eventually contemporary and sambalpuri songs by prominent Odia singers like Abhijit Majumdar, Preetinanda and others notched up the entertainment quotient of an already magical evening, with their popular numbers and high energy. Day 2 of the event will witness a world class fashion show, conceptualized by Sunil Sethi, President Fashion Design Council of India. It shall showcase the beautiful handlooms of Odisha in an innovative and contemporary style. Besides this another new chapter added this year is a painting competition titled ‘Aakar’ for below children below18 years of age. The theme of this competition is “Spirit of Odisha”. The painting competition for children shall be conducted between 12 pm to 2 pm and the reporting time is 11 am. The competition will be held on 10th & 11th of March.